Global co-working operator IWG has leased over 35,000 sq ft of space at Perennial Real Estate’s TripleOne Somerset to operate its Spaces co-working concept. IWG owns and operates co-working brands like Regus, Spaces, No18, Basepoint, Open Office, and Signature. It operates about 3,300 locations in over 110 countries. Spaces is a lifestyle co-working concept from Amsterdam. The site will be Spaces’ flagship facility and it’s largest when it commences operation in mid-2019. It will occupy two floors, Level 3 and 13, and will comprise co-working spaces, meeting rooms, private offices, conferencing facilities, and event spaces. It will also have a Business Club which will be accessible to its 3 million Spaces’ members. TripleOne Somerset is currently undergoing a $120 million enhancement program to augment its retail offerings and incorporate about 32,000 sq ft of new medical suites. “Spaces’ unique event spaces are set to be great venues for medical and healthcare-related launches and events, which tie in well with one of the core themes of the development”, says Annie Lee, deputy CEO (Singapore) of Perennial. 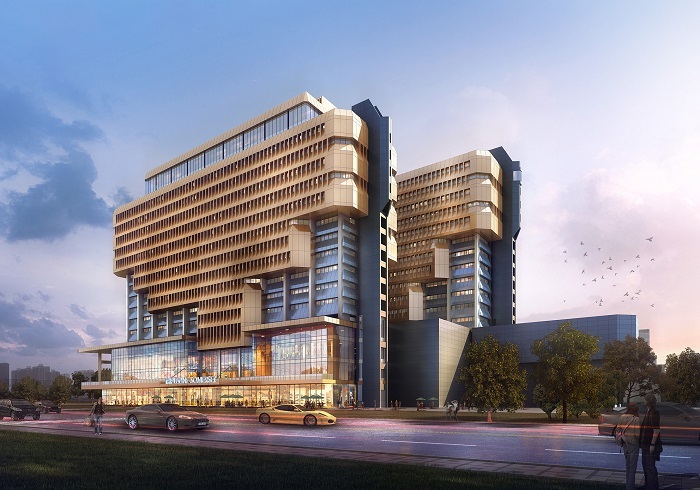 The new two-storey retail podium is expected to receive its Temporary Occupancy Permit by end-June, and works are expected to complete by 2019.